All decorative baseboards and skirting boards manufactured by our company have the highest guarantee of quality and durability. They are designed to follow current market trends, with shades of white, grey or a tone equal to the doors or floor. 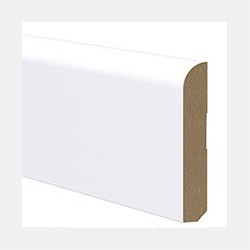 Made with MDF board, we offer sockets of different widths, which can be curved, half-round, high or low, as required by the project. In addition, thanks to its hydrophobic treatment, they resist humidity and are ideal to be placed in any room of the home, the corridor and even the kitchen, discouraging its use in bathrooms due to excessive vapors and water spills produced. All this offering unbeatable technical characteristics and very competitive prices that can be cheap if we compare them with the quality of the product offered. 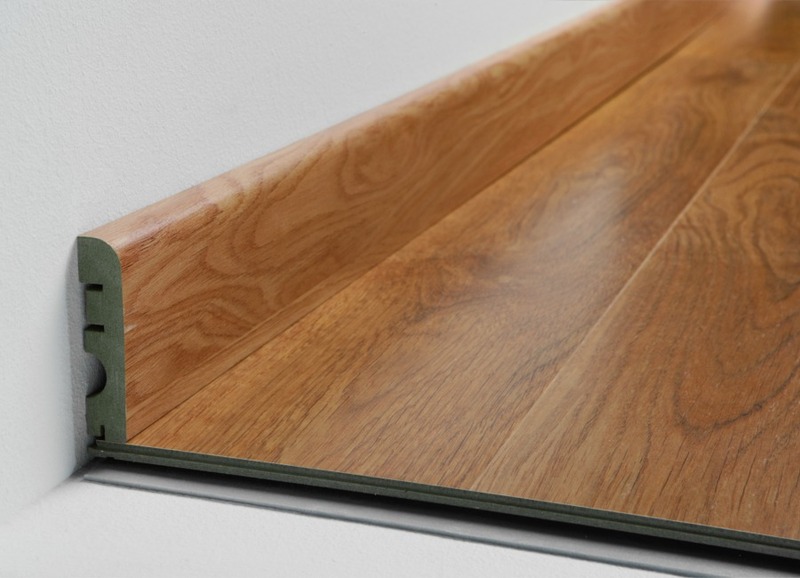 Design, quality, durability and Spanish manufacture are the best qualities of FAUS baseboards and skirting boards. 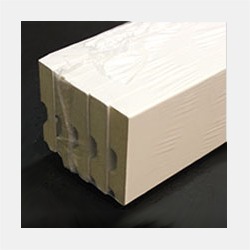 We offer a wide variety of models that can be used in walls, stairs and doors. Imitation wood models, in shades of oak, white as lacquered and of different sizes. Quality that allows them to be used for all types of wall and floor coverings and offers the possibility of complementing the installations in stairs and doors. 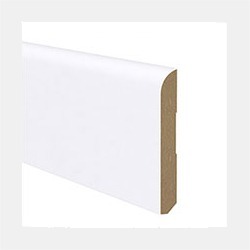 All this variety of baseboards and baseboards are also available in all types of colors to fit all the designs of laminate floors and wall coverings of the brand. In this way, the customer can always find the necessary complement to fit perfectly with the chosen product. Options for all types of projects, which allow finishing any installation in a professional, elegant and sophisticated way. Moldings made with care and technical rigor that perfectly stand the test of time, keeping the same appearance as the first day. 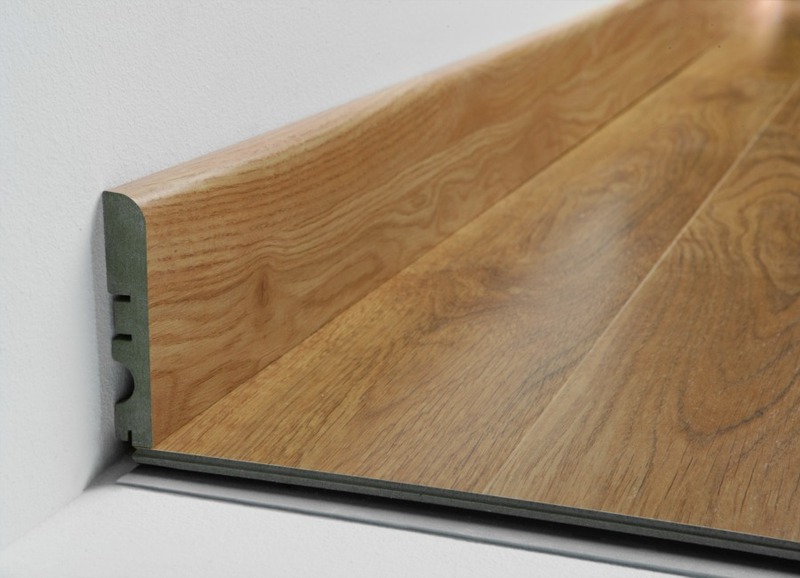 The baseboards and skirting boards manufactured by FAUS are the ideal complement for any installation of laminate flooring and floating laminate flooring. They bring quality and technical excellence to the project with modern and topical designs. They have qualities that allow the professional to perform a perfect and clean installation, as is its rear design with cable glands, hole through which the cables hide and which make it possible for these cables to remain invisible in space. 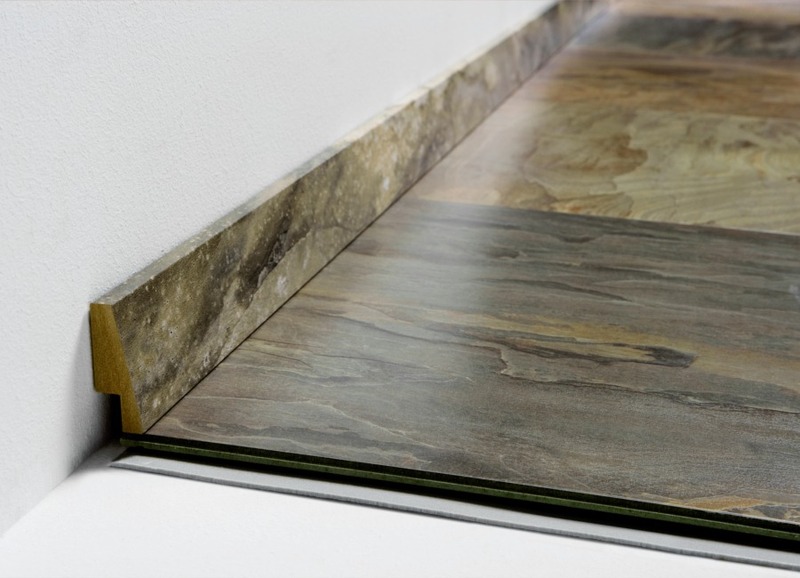 With more warmth and texture than skirting boards and vinyl sockets and more manoeuvrability than adhesives, they become the best complement for the floating flooring. All this, with a wide range of designs and tonalities that perfectly complement any type of installation. 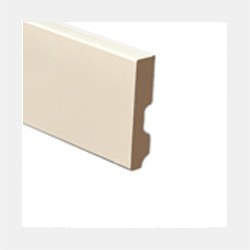 Complement that also allows to complete the installation in corridors, doors, stairs, rooms and any space in the house. Also, it is important to highlight its water-repellent properties, one of the most valued features of the market, as well as its great variety of shades and designs.